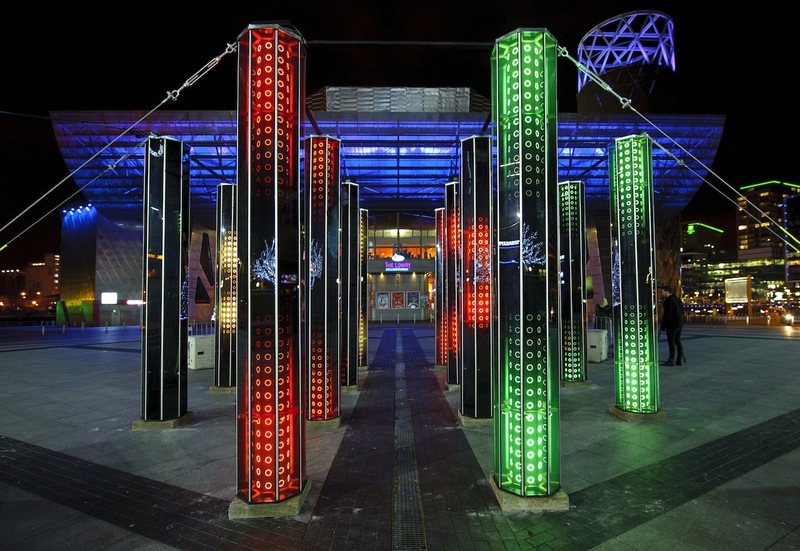 A free digital light festival for the North West. including a brand new interactive digital light commission, Cathedral of Mirrors by Mads Christensen; works from international artists, Amanda Parer, and Marcos Zotes; and a series of pop-up performances encompassing dance, music and digital workshops. 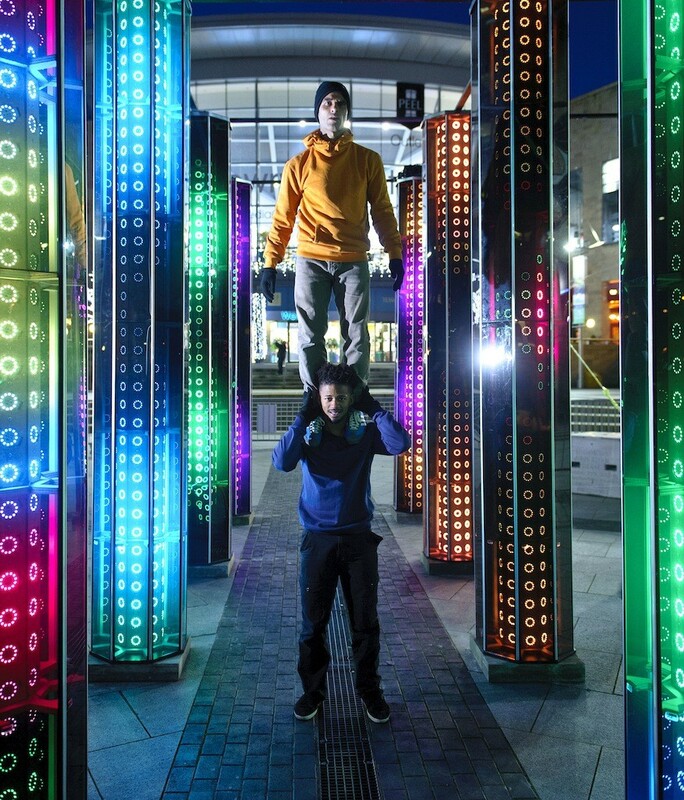 Over five days, the Piazza at MediaCityUK was taken over by a 100ft illuminated balloon sculpture from international artists, Umbrellium, including special commissions from Boy Blue Entertainment, Honour Choir and Stuart Childs. 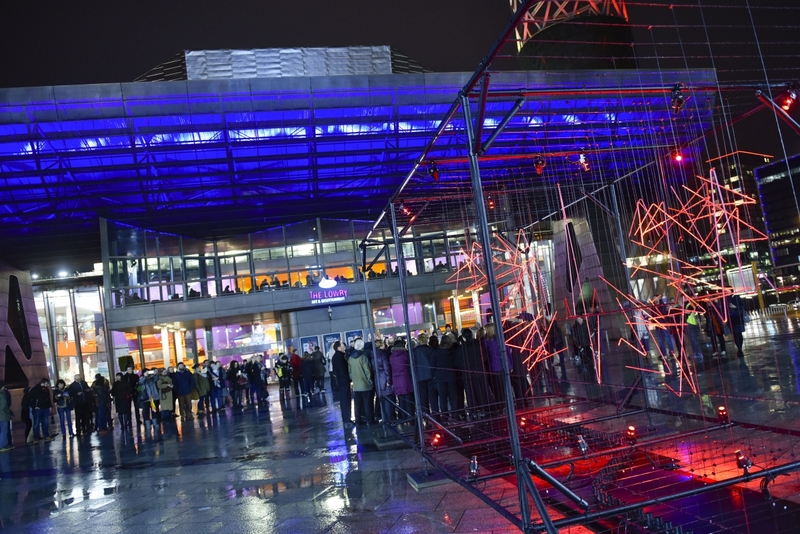 A free two day celebration of digital art from two of the UK’s most exciting new artists, including Seb Lee-Delisle’s virtual firework display and Stuart Childs’ innovative tech-maker workshop. 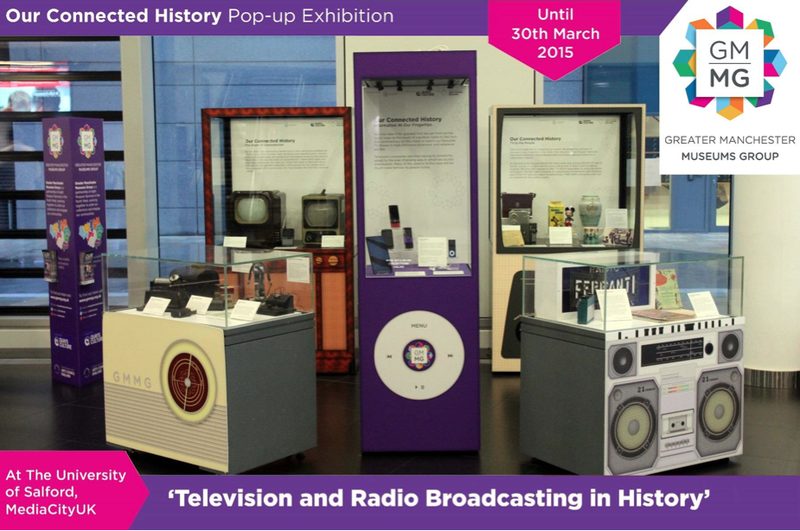 An exciting exhibition held at University of Salford, taking visitors through over 10 decades of broadcasting history from 1920s wirelesses to digital streaming content on mobile devices today.